Nilfgaard relies on diplomacy and subterfuge to disrupt enemy strategies and decimate their opponents. Driven by their primal instincts, the nightmarish Monsters will do anything, consuming their own kin included, to gain more power. The warriors of Skellige embrace the glory of battle and draw strength from death and wounds sustained in combat. Armies of Northern Realms boast impressive numbers, some of the deadliest engines of war, and truly inspiring commanders. Led by elves, dwarves and dryads, these guerilla fighters are supremely agile masters of ambushes, traps, as well as support. 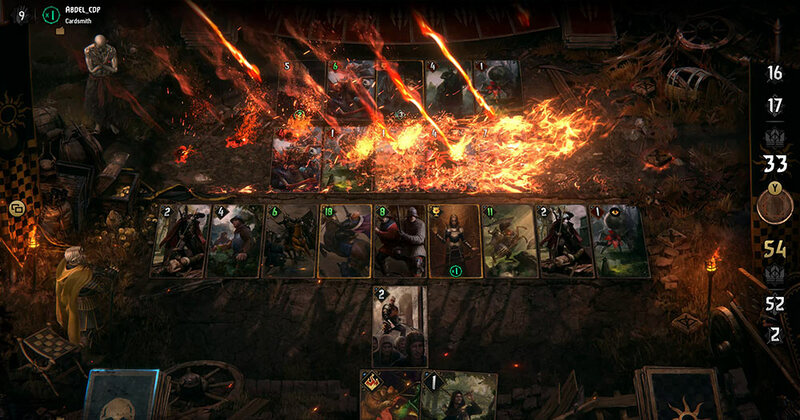 Whether it’s a quick game against a friend, a highly competitive challenge, or something new and adventurous, GWENT’s selection of game modes has got you covered. GWENT Masters is the official esports series of GWENT: The Witcher Card Game, where players from around the world fight for the title of GWENT World Champion. JOIN US FOR A ROUND OF GWENT!